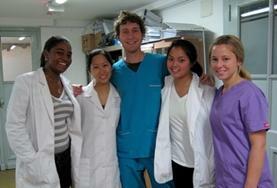 Take your Elective placement one step further with a Medicine Elective abroad! These worthwhile placements are tailor-made for undergraduates studying towards a degree in Medicine. 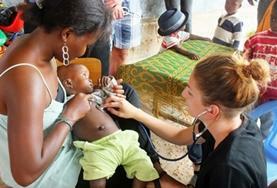 Challenge yourself, learn new skills and gain valuable medical experience in a developing country. How does an Elective abroad differ from a placement in the UK? As a medical student taking your Elective abroad, you will get to learn about the differences in healthcare practice between your host and home countries. You will also be exposed to techniques and illnesses that are less common in western hospitals and clinics. 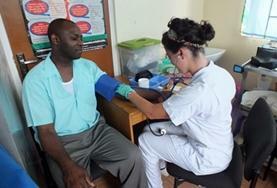 Due to a lack of funds, many patients are also in an advanced stage of their illness. Furthermore, many placements will not have the up-to-date equipment you are used to. However, our local medical staff are highly dedicated and knowledgeable, and do their very best in the limited working conditions they have. You will have the opportunity to come up with innovative solutions to combat these obstacles. Medicine Elective volunteers will work alongside local medical staff in a hospital or clinic, learning from them and assisting where necessary. You may find yourself helping to take patient histories, observing surgeries, undertaking basic procedures with supervision, and assisting with ward rounds and other medical tasks. You can choose which department you’d like to work in if you have a particular specialism in mind, or rotate through the different departments to see a bit of everything. Possible departments include Oncology, Paediatrics, A&E and Surgery, to name a few. You can download our specialisms chart to see which specialisms are available in each of our destinations. Please note that we can’t always guarantee that your preferred specialism will be available on your chosen dates. 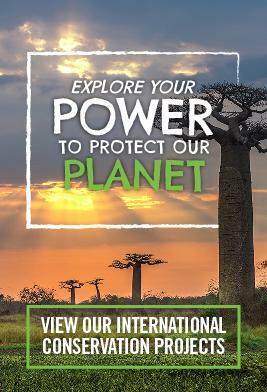 Depending on the placement and country you choose, you may also have the opportunity to take part in extra activities such as attending workshops, outreach programmes and seminars with other medical students. 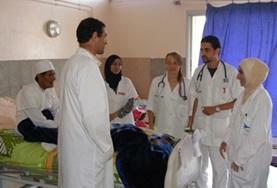 We provide extensive support to our Elective students, prior to departure and during your placement. Our staff can assist with the completion of your paperwork for university, and one of our Volunteer Advisors will be in regular contact to guide you through your trip preparations prior to your departure. You will be assigned a supervisor when in-country, who will be your mentor for the duration of your Elective placement. Local staff are also available 24/7 to provide support and answer any questions you might have. Most universities have a set date by which time your Elective application paperwork needs to be completed. If your university needs information on the hospital or clinic in which you will be placed, or requires forms to be signed by your project supervisor, we recommend completing our application form at least one month before your deadline. This is because we can only provide the detailed information about your project once you have applied and been accepted onto an Elective placement with us. If you are not an Elective student or would rather take part in our standard Medicine projects, please see our Medicine Projects page. 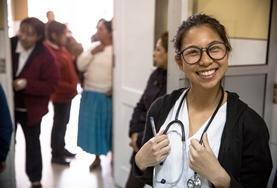 Argentina On this Medical Elective placement you will be based in a hospital, where you will benefit from the knowledge of experienced doctors who will be keen to help you. Bolivia Some medical institutions in Bolivia have very basic facilities and limited staff. 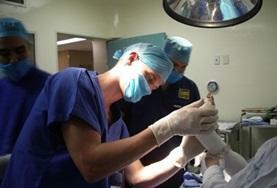 By choosing a Medicine Elective in Bolivia you will get to see first-hand how the medical institutions cope with this. 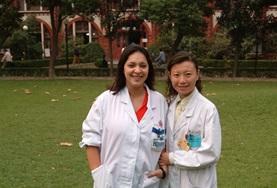 China If you wish to take your Medical Elective in China you will be working with exceptionally skilled local doctors. You will be assigned a supervising doctor who will have experience working with students. 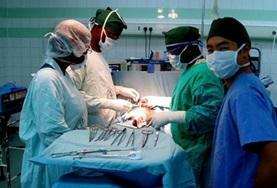 Ghana You can choose to undertake your Medicine Elective in a number of different departments in a Ghanaian hospital. Local staff will work with you to develop a schedule to support your studies. Jamaica On this Medical Elective placement you may see many cases of conditions you would not normally see in your home country. You can spend time in both the in-patient and out-patient departments. Kenya Joining the Medical Elective placement in Kenya is an exciting way to see the inner workings of medical institutions in a rapidly developing country. 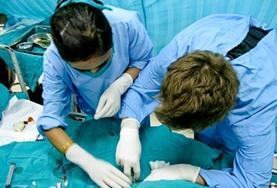 Mexico By taking your Medical Elective with us you will gain a great deal of valuable work experience in the field. Volunteers on this placement will be based in Guadalajara. 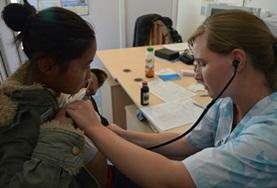 Mongolia Your Medicine Elective placement in Mongolia will be supported by professional local doctors and surgeons. You will be based in a central hospital in Ulaanbaatar. Morocco By doing your Medicine Elective in Morocco you will be gaining valuable work experience whilst living in this vibrant North African country. Nepal As part of this Medical Elective placement it is likely that you will work in a hospital with a lack of resources and facilities. You will be assigned a supervising doctor who will support your experience. Peru Peru is a fascinating country and if you choose to take your Medicine Elective here you are sure to have an unforgettable and valuable experience. 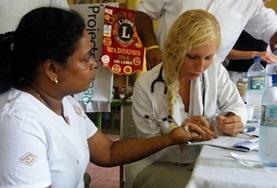 Sri Lanka As we are experienced in coordinating placements for Medical Elective students you are certain to have a worthwhile time in a Sri Lankan hospital. Tanzania If you are looking to make a real difference whilst undertaking your Medical Elective then a placement in Tanzania may be ideal. You will benefit from the guidance of trained local staff. 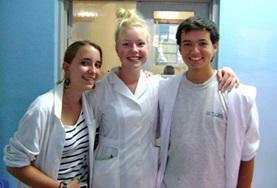 Togo The hospitals and clinics of Lomé offer a great environment in which to take a Medicine Elective placement. It is likely you will see a number of conditions rarely seen in your home country. 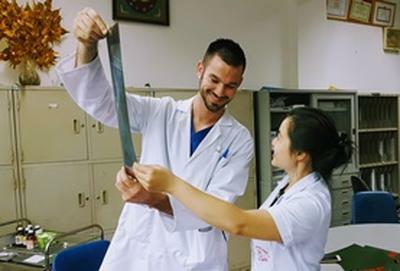 Vietnam Learn about medical practice in Vietnam and gain valuable work experience by observing local staff and assisting where necessary. You can choose from a range of different departments.